London, 22 September 2015: As London Fashion Week, one of the Commonwealth’s leading Fashion events, comes to a close, the Commonwealth Businesswomen’s Network announces the first Commonwealth Fashion Award with its strategic partner, the Commonwealth Fashion Council. 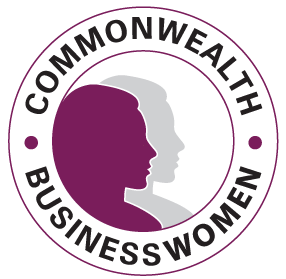 This coincides with the 2nd Commonwealth Businesswomen Awards which recognises women entrepreneurs and business leaders from across the Commonwealth and which went live this month (see http://awards.cwbusinesswomen.org). The Commonwealth Fashion Award category recognises the outstanding contributions people and business make towards the Commonwealth fashion industries. The award highlights Commonwealth fashion leaders who have dramatically revolutionised the business of fashion or achieved results which have contributed to highlighting the positive impact of the fashion industry to markets and communities with specific reference to women. The winner will be chosen by the Council members of fashion industries from across the Commonwealth and announced at a VIP reception in London on 12th November. “With fashion a global industry in which women are involved at all levels, we are delighted to partner with the Commonwealth Fashion Council to launch the first celebration of the positive impact of the fashion industry to markets and communities in the Commonwealth with specific reference to women,” said Arif Zaman, Executive Director, Commonwealth Businesswomen’s Network.